If you're a font geek, you already know about Dave Nalle's Scriptorium, purveyor of fine typography since way back when. And if you're not a font geek but you do play Munchkin, you're very familiar with one of their fonts: we use Windlass for the box logo and card titles on the original Munchkin set, and a lot of the others too. Scriptorium just released a very cool new Art Deco font going back to the days before Deco was even recognized as a movement. 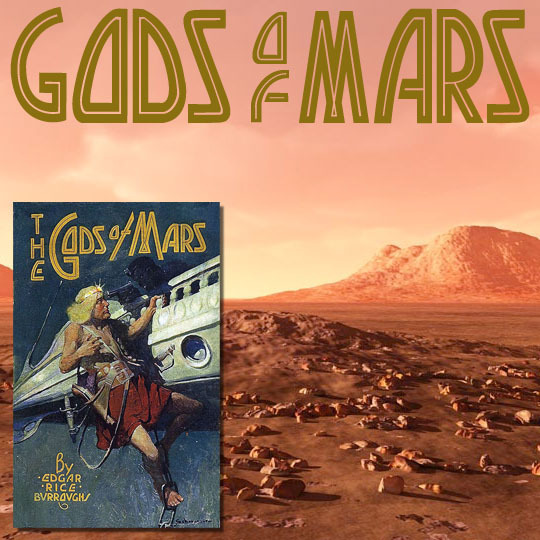 "Gods of Mars" is based on the cover design on the 1918 edition of the Burroughs classic. And it looks FINE. I can imagine this one on a bronze nameplate on the front of a 1930s skyscraper . . .
We have to use this one sometime. I have no idea for what, but we have to use it.